A very fat Distortion/Fuzz with a very active tone control and a separate footswitch that kicks in the most searing Octave-Up available... use it as a Fuzz or Octave-Up. 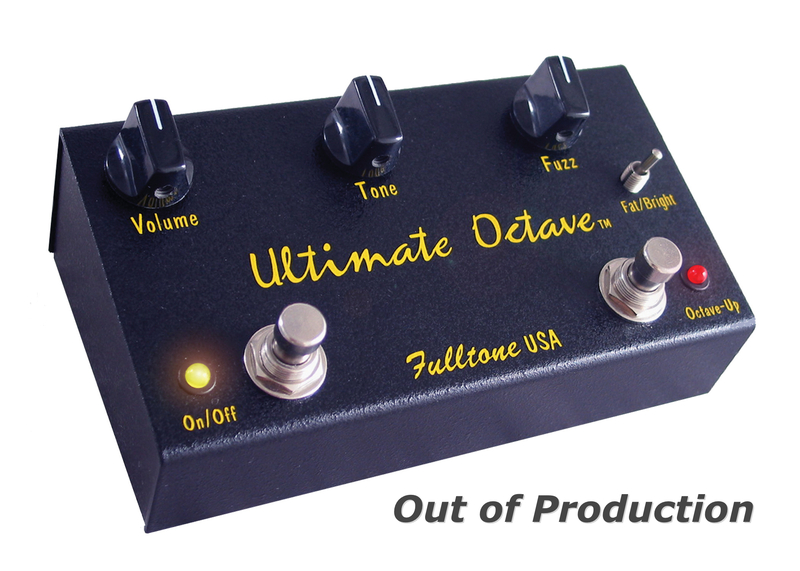 With True-Bypass and LED's (for both features), it also has a "Fat/Bright" switch that completely changes both the distortion and octave sounds from strong thick mids (Fat) to completely scooped out with no mids, lotsa bass and hi-end ("Bright"). The world's most versatile Octavia!